A trip to the movies with the family is on everyone’s list of activities for a fun time. Whether we are showing the latest animated flick or old classics, this is a fun way to bring our community together and build support for our schools. 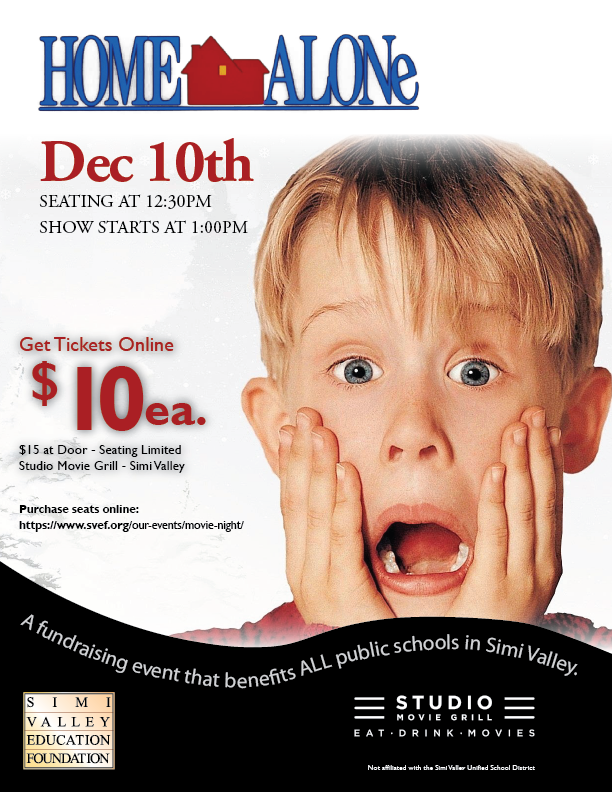 The Simi Valley Education Foundation is proud to partner with Studio Movie Grill for exclusive screenings to benefit the works of Simi Valley Education Foundation. your name(s) will be held at the door. Each movie ticket purchased includes two raffle tickets for some fun prizes. Come early and order lunch before the movie begins.